Disclosure: NYC Cheap Travel has affiliate agreements with Travelocity and TripAdvisor and may be paid a commission for sales generated by links to those sites. 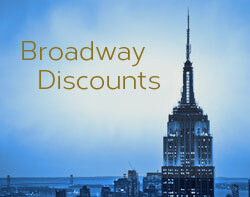 The Distrikt Hotel New York City Times Square is boutique hotel with a good location and reasonable rates. Good Reviews: The hotel gets good reviews at TripAdvisor, with an average rating of 4.5 out of 5 stars. Affordable Rates: The Distrikt Hotel regularly has rooms available for around $220 a night. There doesn’t seem to be as much day-of-the-week rate variation with this hotel as with others, although Sunday rates are consistently the lowest. We spotted Sunday rates under $200. 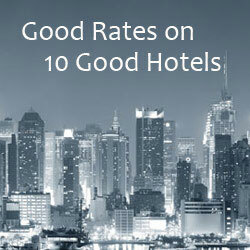 As with most NYC hotels, rates are best during the “off” months (July – August and January – February). Good Location: The hotel is located on 40th Street, between 8th and 9th Avenues. It’s southwest of the heart of the Times Square theater district. The location is convenient to Times Square, restaurants in the Hell’s Kitchen neighborhood, and Bryant Park. Amenities: Rooms come with free WiFi, fridge, and a Keurig coffee system.